This is a really simple dress to skirt refashion (see similar here) that anyone can do. I picked this dress up at a Thrift Shop for $3.00 - you get what you pay for, right?! I was singing "I Feel Pretty" as you do! I went all out for the before shot: no shoes, no make up! I like the colours and the lightweight cotton fabric. However, that square neckline does me no favours; the whole dress is too wide on me; the hem line is a weird and unflattering length with that much solid blue. So to remedy all these problems I simply chopped the dress off under the armpits; sewed a casing and inserted elastic. Ta da! A maxi skirt! From frumpy dress to fabulous maxi skirt in one simple seam! I don't mind rain, snow, cold or heat but I do NOT like the wind! Photos c/o my wonderful Husband who loves a random unflattering shot! I love to do outfit redos like that, so smart! I am thrilled that you linked up for the very first My Refined Style... hope you'll be back again next month! Super cute!I have a hard time finding maxi skirts that fit because I m so short. This would be a great DIY to make my own! Love it! What a great idea to lop the dress off. I love it so much as a maxi - very creative. Thank you so much for linking up with the new "My Refined Style" Link Up. We are so glad that you did! I love this refashion! Did the dress already have slits or did you add those to the maxi skirt? Maxi dresses or skirts with slits are my favorite! I love how you styled it with the white shirt tied in the front! 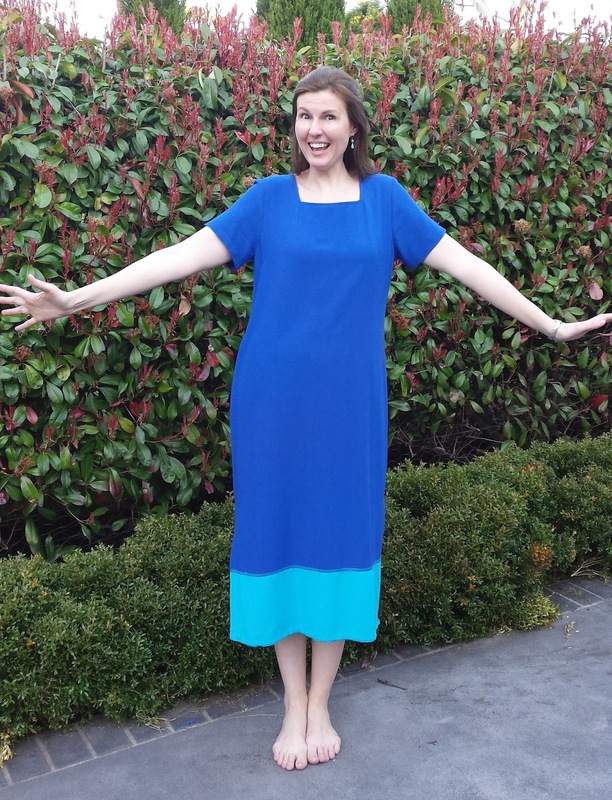 Great refashion on this dress - it looks amazing on you! Amazing. I really need to invest in / learn how to use a sewing machine. There are so many of my maxi dresses which have shrunk over the years that I could do this with. And I much prefer maxi skirts to maxi dresses too. You've inspired me! The Most Versatile Dress in the World!